Students attending St. Michael's Lutheran School in grades K-8 are required to participate in choir. 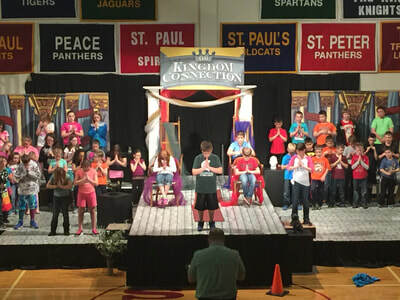 Through weekly rehearsals, during the school day, students are the given the opportunity to explore the world of music through individual, small group, and full ensemble settings. We believe that every student should have an opportunity to create and respond to music. Music study involves and develops perceptual, creative, cognitive, affective, and psychomotor learning. Studies show music training in young children helps to trigger higher brain functions. The study of music has a positive effect on the students’ self-development, task completion ability, group dynamics, and improves their learning abilities in the areas of language arts, mathematics, and reading. Research has shown that students who took more than four years of music instruction scored higher on the verbal and math standardized achievements tests. Therefore, we believe music plays an important role in the educational program of St. Michael’s Lutheran School. The training and the experience which each student experiences is an outward reflection of God’s love and His saving work of redemption. All of our singing goes towards glorifying our heavenly Father who gives us the gift of music. Music itself forms a large, influential part of our church’s history and foundation. It has always been a part of worship and used as a teaching method for spreading the gospel. 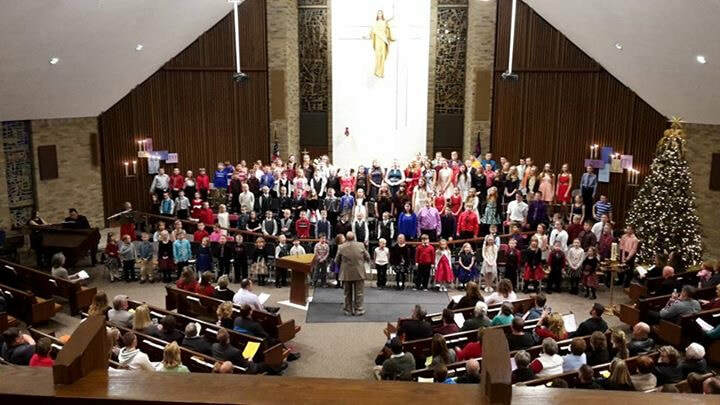 St. Michael's Lutheran School choral program begins in the younger grades starting in Kindergarten and 1st grade. These two groups of students are combined twice a week where they work together to in discovering, creating, and most importantly singing music. Students learn music in a variety of ways initially by call and response and ultimately ending by reading words and associating them with various pitches. Students also work on developing skills which include pitch matching, recognition of various terms, and proper tone production. Singing opportunities include various concerts and worship services. Music taught usually comes from resources such as All God's People Sing, Let All People Praise You, and Lutheran Service Book and reflects a level of performance suitable to their developmental age. The choir is under the direction of Mr. Charles Chaveriat, Director of Music. Students in grades 2-4 are combined twice a week and form St. Michael's Cherub Choir. This group of students works on developing and helping mature proper singing techniques. It focuses on areas of development like simple two-part singing while reinforcing concepts learned in Choristers. 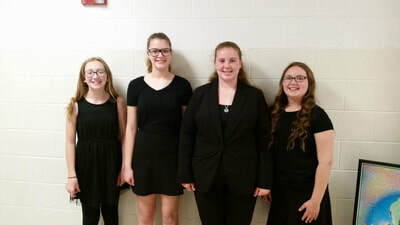 This group participates in the Lutheran School Music Festival Bay/Thumb Division and has earned excellent and superior ratings. While always learning new techniques and music, Cherub Choir also assists with various concerts, musicals, and worship services. Much of the music comes from similar resources used in Choristers but also introduces students to using choral sheet music later in the year. The choir is under the direction of Mr. Timothy Eyster. Students who are in the middle school grades (5-8) combine twice a week and form St. Michael's Concert Choir. These students focus on developing proper singing technique with special attention to the changing voice at times. Students work together or individually in preparing various pieces for concerts, musicals, or worship services. The music comes from a wide range of resources with most being choral sheet music. Its' selections at times also include small instrumental groups. The choir performs at the Lutheran School Music Festival Bay/Thumb Division earning ratings of excellent and superior. Music performed by this group includes secular and sacred music and is used to teach cohesiveness, team contribution, and ultimately to serve our Heavenly Father. This is under the direction of Mr. Charles Chaveriat, Director of Music. Select Choir is a smaller group of students who wish to have the opportunity to experience a choir atmosphere different from Concert Choir. This group focuses more on small group singing and vocal performance. 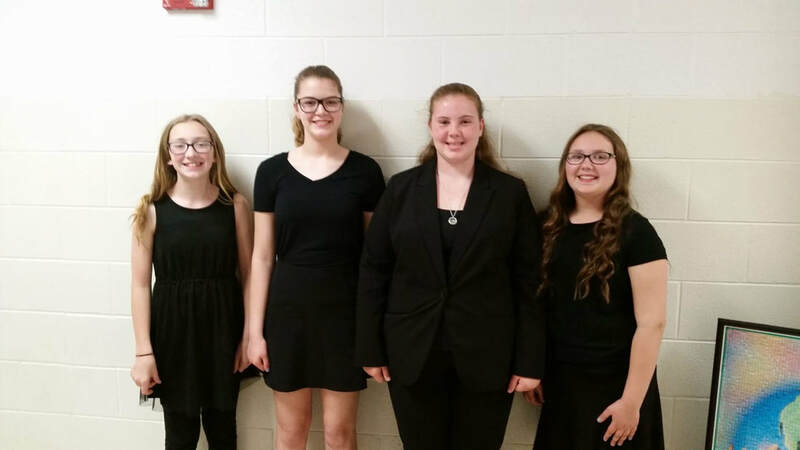 They participate in church services on a regular basis and perform music which consists of a more dedicated caliber than what Concert Choir performs and comes from a wide variety of repertoire. 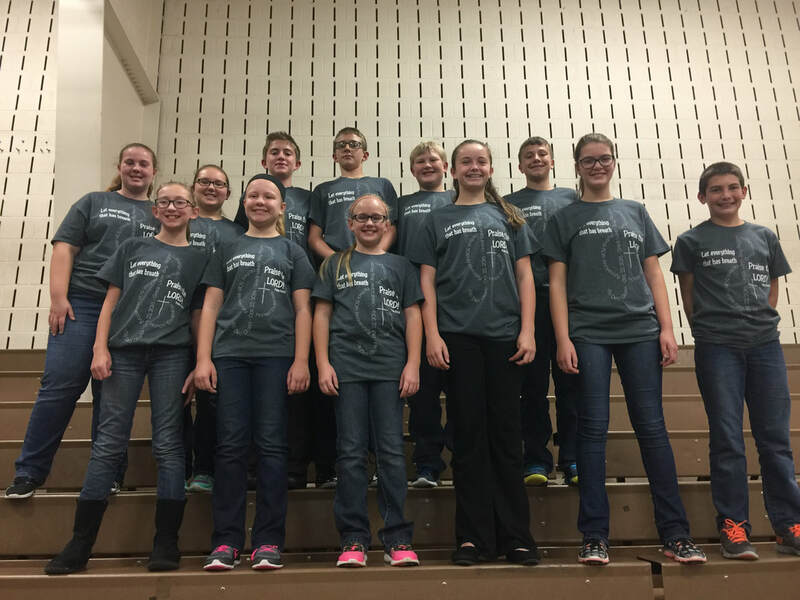 Select Choir participates as a separate group in the Lutheran School Music Festival Bay/Thumb Division. It should be noted that this choir still participates as members of Concert Choir and sings autonomously as Select Choir. This group is open to all students in grades 5-8 but, does require a brief audition with Mr. Chaveriat to determine eligibility and placement.